Situated on massive grounds of 34.5 hectares nothing the Oktoberfest does…is small. From 2018 data it’s recorded that over 13,000 people were employed at the event over the two weeks via carnival attractions, stall holders and food and drink services (including the 14 massive beer tents) and that an estimated 6.3 million visitors came to the Beer Festival in Munich. Top 10 countries in terms of visitors to the event were USA, Great Britain, Austria, France, Switzerland, the Netherlands, Italy, Australia, Sweden and Belgium. Over 100000 seats were available in the 14 large tents and more than 20 small tents. The Oktoberfest has its own Postal Office and over 500 postcard per day were officially sent from there. Guests drank 7.5 million litres of beer according to the Munich Brewers association. 101000 beer mass (Steins) were confiscated by security personnel at beer tent exits. Lost property included 900 passports, 350phones, 300 keys, 460 wallets and so much more including a couple of dogs. This really is a massive event and is still by far the world’s largest beer fair or Volkfest (“people’s festival”). Known as the Wiesn locally, the Oktoberfest is held in the fairgrounds of what used to be Theresa’s Meadows (Theresienwiese), just outside the city centre of Munich and is an integral part of Bavarian culture that other cities across the world have emulated since the first Oktoberfest took place back in 1810. Many people who attend the Munich Oktoberfest do so with official, well established companies many of whom offer accommodation options to suit all budgets and Oktoberfest Tours that are organised and cost effective. In 2019 the Oktoberfest will operate from the famous opening ceremony the “O’Zapft is” at midday on September 21st and run through until 11pm on Sunday the 6th of October. PROST! 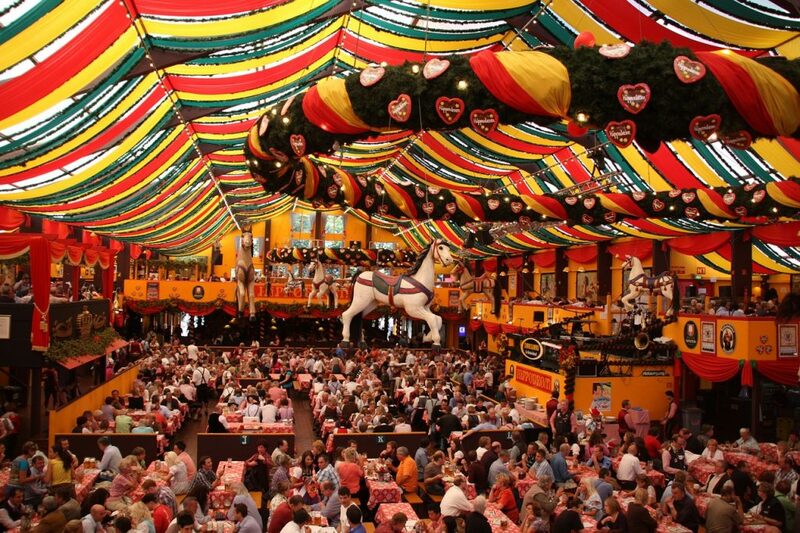 The post Oktoberfest – The Munich Beer Festival in Numbers appeared first on FeedsPortal.com.